From classic souvenirs such as alpaca blankets, to more unusual items like witches’ potions, Peru’s markets have them all. These large gatherings of people, food and culture are an unmissable part of any visit to Peru. Here’s our guide to the best of them. Located in Pisac, Peru, this market can get so large it takes over the Plaza de Armas, offering every product a tourist could possibly want. It’s worth stopping by to check out the scene and buy a few souvenirs. A must-see for anyone in Cusco, Mercado San Pedro is an attraction in its own right. It’s a food market, but it’s also just an amazing sight, even if you don’t need to buy anything. Pig’s head, anyone? This large market has a special corner for las brujas (witches), selling everything you need to make those potions and cast those spells. If you’re not so confident at witchcraft, you can also pay healers or witches to conjure up your potions for you. 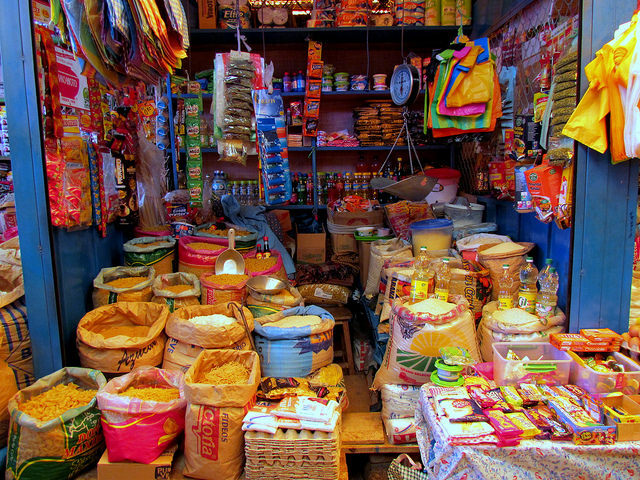 You’ll find every imaginable Peruvian souvenir here. Most of the shops are all selling the same things: beanies, alpaca gear, phallic ornaments in the shape of a gun (trust us; it’s a Peruvian oddity), hats, sweatshirts – all the things you never knew you wanted, until now. 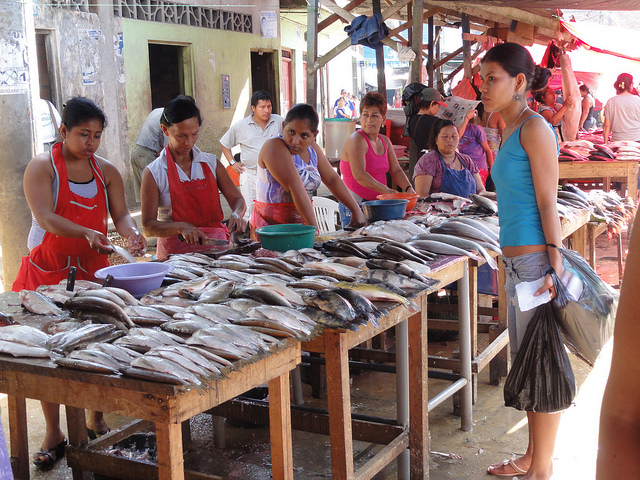 You can eat some great ceviche here, or just take a walk around and take in all the commotion. This is where many Limeños get their weekly groceries from. This market is not one of the best in any traditional sense, but it’s worth a visit. 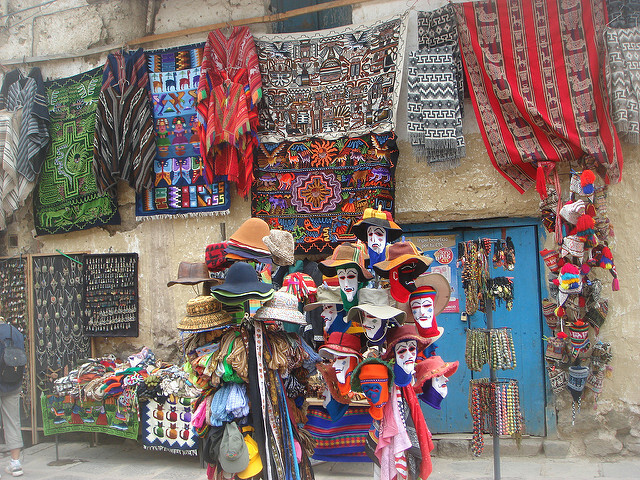 You won’t find the best artesian products or classic Peruvian souvenirs, but it is a sight to behold. You may be overwhelmed by the chickens, the trash, and the drunks passed out in the mud, but exploring a giant outdoor market in the Amazon is something you may not get a chance to do again, so grab the opportunity while you can.